The Ministry of Justice (MoJ) is working with the Solicitors Regulation Authority (SRA) to build greater trust in solicitors among black and minority ethnic (BAME) people in custody. The move forms part of the government’s response to the Lammy review of the treatment of BAME people in the criminal justice system, an update on which was published today. The MoJ promised to investigate options put forward by Labour MP David Lammy to tackle racial disparity in the criminal justice system. 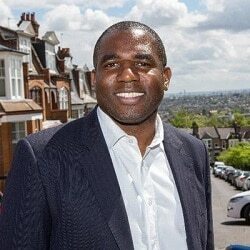 In his wide-ranging report, Mr Lammy highlighted a lack of trust by BAME defendants in their solicitors, which contributed to a situation where black and Asian men were more than one and a half times more likely to enter a not guilty plea, and risk higher sentences as a result. He called on the Home Office, the MoJ and the Legal Aid Agency to work with the Law Society and Bar Council to experiment with different approaches to explaining legal rights and options to defendants, including possibly giving people a choice between different duty solicitors, and earlier access to advice from barristers. The government has previously expressed reservations about giving a choice of duty solicitors and the update makes no mention of the possibility. It said: “We have expanded our response to this recommendation by exploring ways in which those involved in the first point of contact can build trust and improve the experiences of BAME children and parents. The MoJ is working with police national custody leads and the SRA to identify means by which legal rights and options could be explained, “including by distributing leaflets which highlight the importance of seeking legal advice in the police station to every custody suite. These leaflets would be targeted specifically at young people in custody”. The government said it was also supporting the SRA to include a focus on trust “with a view to targeting children and young people from BAME backgrounds, including by updating the SRA tool kit for solicitors working in the youth court, to include support and guidance on how to build trust with young people”. Beyond this, the Legal Education Foundation has provided funding to the University of Nottingham to research the most effective methods to present legal rights to young people in an app. The university is also liaising with police and the Legal Aid Agency to develop a basic app for the police to use when undertaking voluntary interviews. “In addition to this, the university and police are exploring the possibility of linking data collected through the app to the police database (using a unique identifier to ensure anonymity) so that monitoring information can be used to conduct an analysis of suspects based on their personal characteristics, including age and ethnicity, and case outcomes. To begin tackling the issue of trust in the legal system, the MoJ said it has “actively engaged” with BAME-led voluntary organisations that work directly with young BAME people. One is Spark2Life, which works with young people who are in prison transition into the community. It is collaborating with Emery Halil & Brown Solicitors to organise school workshop programmes in six schools within the London borough of Newham and Waltham Forest. “It is hoped that this new six-month initiative will be a foundation for engendering trust with young people, but will also start a conversation with young people to dispel negative perceptions about the criminal justice system and magistrates’ court. “In addition, the programme will aim to educate and inform young people about the realities of the court system as a whole, especially around the difference between the two jurisdictions, youth and adult court. An evaluation of the programme will also be completed to measure success.